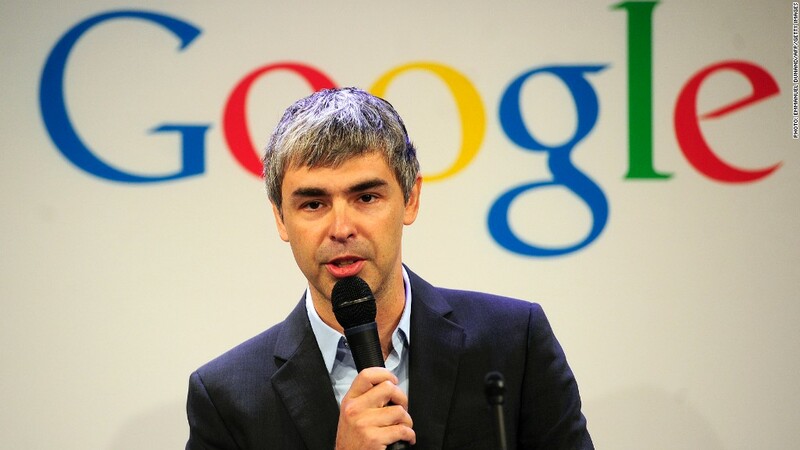 Larry Page stopped speaking at public events from June to October 2012. When Google CEO Larry Page stopped talking at events last summer, some company watchers feared the worst. But Page revealed on Tuesday that he's perfectly healthy, and his raspy voice is due to vocal cord paralysis. Page wrote in a post on his Google+ page that his doctors speculate it's virus-based nerve damage from a terrible cold he suffered 14 years ago, though they can't pinpoint a definitive cause. That 1999 cold left him with paralysis of the left vocal cord, and another cold last summer paralyzed the right cord. "Thankfully, after some initial recovery I'm fully able to do all I need to at home and at work, though my voice is softer than before," Page wrote. "And giving long monologues is more tedious for me and probably the audience." Page's voice issues surfaced last June, when Google (GOOG) announced he had "lost his voice" and would skip the company's upcoming quarterly earnings call and other events. Page didn't appear in public until Google's Zeitgeist conference in October, where he declined to comment on his health but sounded notably hoarse. Corporate governance pundits called on Page to disclose his condition given that he's the CEO of a public company, but neither he nor Google released details. Once Page did begin speaking at events like earnings conference calls, his short statements fueled more speculation. Page didn't say why he ultimately revealed his condition, or why he chose Tuesday to do so. Google's I/O developer conference kicks off on Wednesday, but Page hasn't attended the event in recent years. Fellow co-founder Sergey Brin usually handles the big I/O announcements. Page wrote that Brin told him "I'm probably a better CEO because I choose my words more carefully. So surprisingly, overall I am feeling very lucky." Related: Will Google stock hit $1,000? Page added that people tell him he has sounded better lately, and he has worked with vocal cord specialists to help him improve. Paralysis of both vocal cords is very rare, Page said, which means researchers have little data to work with. Page also said that he is funding a "significant research program" through the Voice Health Institute, and he included a link to a survey seeking data from vocal cord paralysis sufferers.